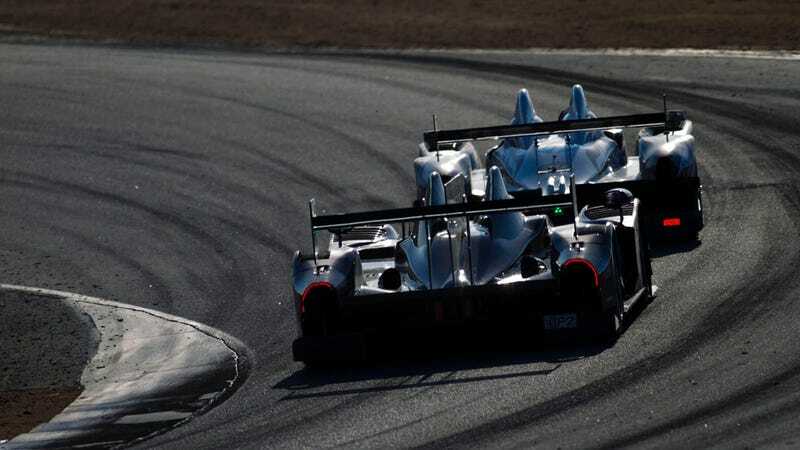 The six hours of racing at Laguna Seca this weekend didn't make for any surprise wins in the prototype classes, but we got some classically close GT competition. Laguna Seca veteran Brad Fox caught the unmitigated grandeur of modern racing cars flooding through the corkscrew. Of course, Hondas walked away from everyone else in P1 and P2, with Muscle Milk Pickett Racing and Level 5 Motorsports taking the leads, respectively. Down in GT it was a close race between the Corvettes, M3s, 458s, and Porsches. The Corvettes came out on top with a 1-2 finish. Oh, and McDreamy was there. The real star was the track, which just makes all the cars shine. Click through the gallery to see all of Fox's great work. To see the pictures in their full size, click on the "Expand" button in the lower right of each photo.